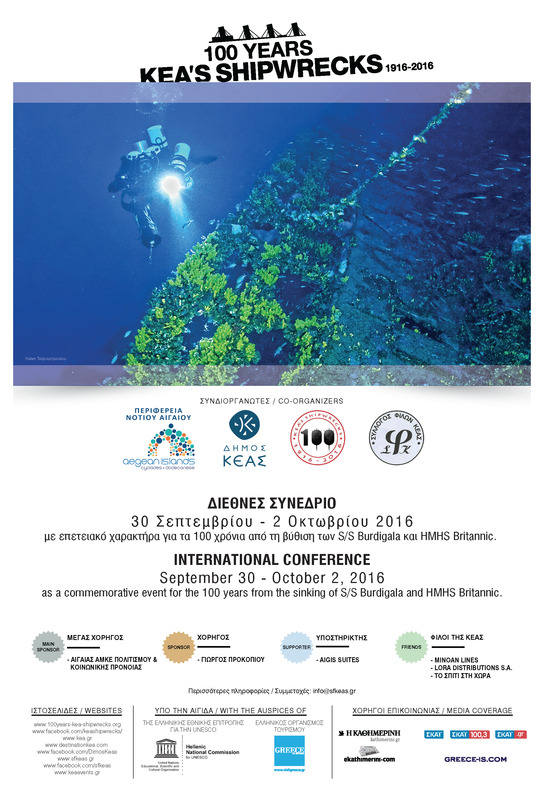 This web-log is about the organization of a three day commemorative event in Kea Island, Cyclades, Greece during the weekend of Friday 30th September to Sunday 2nd October 2016, celebrating the “100 Years from the Sinking’s of S/S BURDIGALA & HMHS BRITANNIC”. 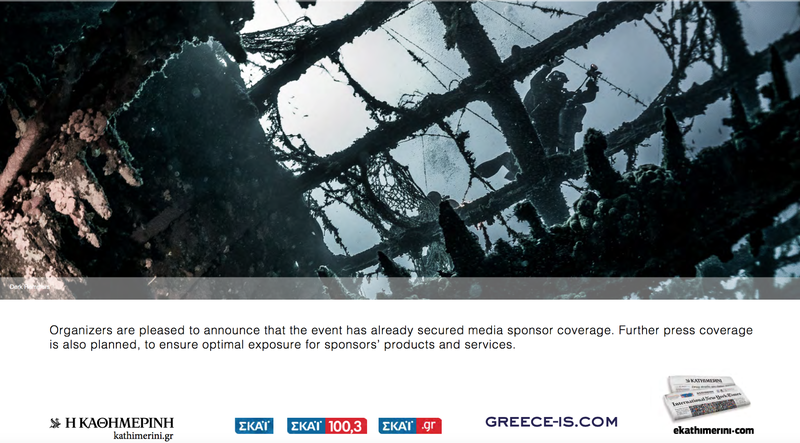 Your co-hosts are: The Region [Periphery] of South Aegean Islands and Peripheriarch Mr. George Hadjimarkos, The Municipality of Kea and the Hon. Mayor Yiannis Evangelou and the Friends of Kea Society-SFK and President Mr. Byron E. Riginos. venue details of the conference and Gala dinner etc. In addition this Team, will organize the guided tour program to the antiquities of the island on Saturday 1st & Sunday 2nd October 2016 as well as the Spouses program. 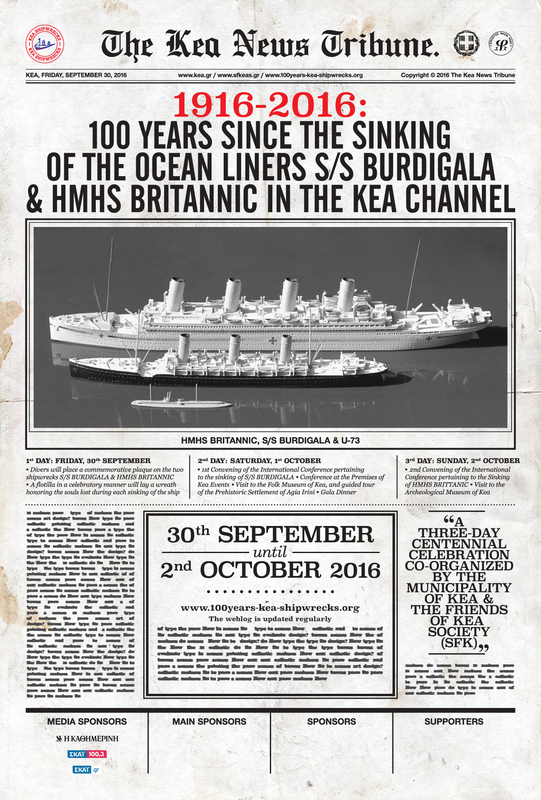 • The surface activities as for example the celebratory flotilla outing on Friday 30th September 2016. • The Seminar Program on Saturday 1st & Sunday 2nd October 2016 as for example it’s structure, content, speakers selection, presentations e.t.c. 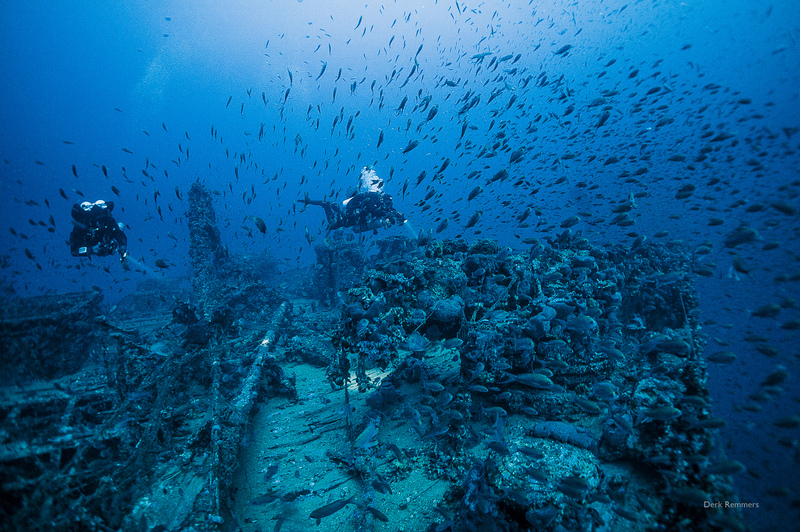 Divers explore the shipwreck of S/S Burdigala. Photo by Derk Remmers.